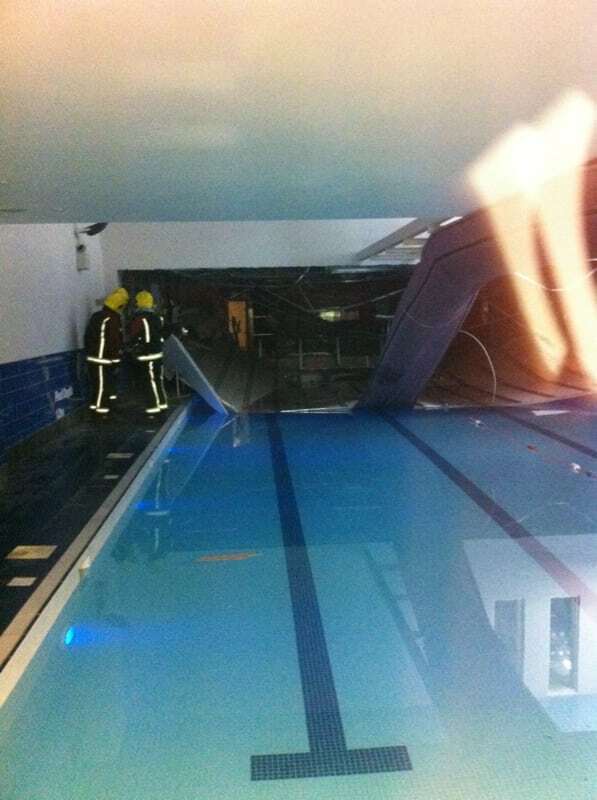 Freak Accident: I Went For A Swim And The Roof caved In! 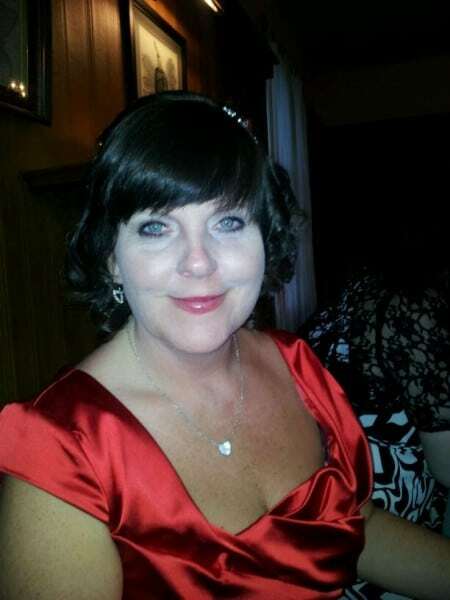 Read Jackie’s story about her freak swimming pool accident. If something unbelievable has happened to you, and you’d like to sell a story to the media, get in touch today. All you need to do is complete the form on the right hand side of this page to get your free story valuation. Nothing will be used without your consent. Dipping my toe into the pool, I couldn’t help but shudder. ‘I don’t know why I’m surprised, it’s always freezing,’ I groaned, plucking up the courage to get in. Slowly I lowered myself into the water and pushed off the side. My aqua-aerobics class wasn’t starting until 10am, but on a Sunday morning I always tried to come down to the gym a little bit earlier to do a few lengths first. Being in the water was great for my rheumatoid arthritis and I vowed to swim twice a week to ease my joints. After gorging on a mountain of Italian food during meal out with my daughter, Claire, 26, the night before, I knew shouldn’t break my routine for the sake of my figure too. ‘I’ll be back in an hour or so,’ I told her, as I nipped out the door and jumped in the car. She had stayed over for the night at my house in Erdington, Birmingham, half an hour away from where she lived in Dudley, West Midlands. I felt guilty leaving after she made the effort to come and visit, but I had only been for a dip the once – on an evening earlier in the week – and I knew I would ache if I didn’t pop down for a session. ‘Oh hi, Jackie,’ my friend, Camilla, 36, chirped, as she joined me in the pool, ten minutes later. ‘You’re keen, aren’t you?’ she laughed, glancing at the clock. I had been a member at the gym for seven years already and she had recently started back. We always had a giggle, splashing about and trying to keep up with our instructor. Just as the group leader appeared in the room, with bundles of equipment in her arms, I heard an awful racket. I had been happily bobbing up and down, when a noise like a shotgun firing filled my ears. ‘Who is firing at me? Where’s the weapon?’ I thought to myself, panicking and scanning the room for sign of a gunman. There had been a stabbing in the steam room only a few months earlier after an argument had got out of hand and now I worried something else was kicking off. I tried to wade over to the steps, unable to pull myself up over the side because of my bad back. But before I got the chance to move more than a metre, I was forced under the water. Everything went pitch black and I struggled to register what was happening. I tried to push myself upwards but it was no good, whatever had come crashing down on top of me was weighing me down – there was no way I could lift it. Holding my breath, I desperately searched for any sign of light. I had no choice but to swim underwater towards the other end in the hope that it was clear and that I could resurface. I had never thought of myself as a strong swimmer, but I had no choice but to kick and push with all my might. When I managed to get there I emerged, gasping for air. ‘Take my hand,’ a bloke shouted, reaching out to help me, before pulling me out. I collapsed at the side of the pool, hyperventilating. I soon learned that the ceiling had caved in and fallen on top of me. The roof had cracked and snapped before plasterboard plummeted down. I was one of 14 people in the pool when the alarm was raised. ‘Where’s Camilla?’ I panted, still trying to catch my breath. Out of the corner of my eye I spotted her. She had managed to get out, but had scraped her shoulder as the roof came crumbling in. ‘Are you ok?’ she cried, dashing over to come to my aid. I looked at the pool. A mess of rubble was sinking into it. 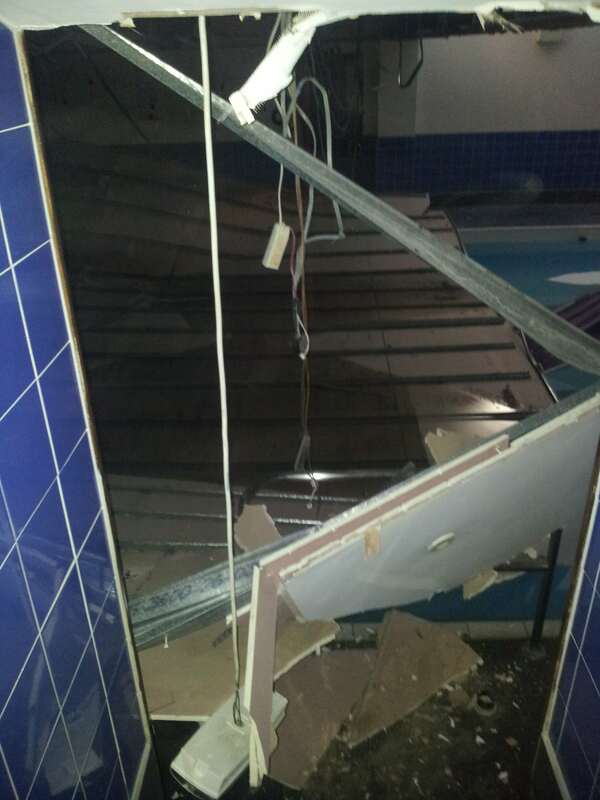 Plasterboard – each sheet weighing around 25 kilos – had come crashing down along with a tangle of electric wires and lights. It’s lucky no one was electrocuted. The outcome could have been far worse. There were 14 people – including me – in the pool at the time and four of us were injured. Climbing on to my feet, I headed towards the changing room. ‘Jackie, what are you doing? You need to sit down,’ the receptionist, Lucy, 20, instructed, having come in to see what all the fuss was about. True to my job role, the nurse in me grabbed a towel and held it to the wound on top of my head to try and stem the bleeding. Within minutes the emergency services had arrived. An ambulance, rapid-response vehicle, paramedic and hazardous area response team were despatched to the scene. Luckily none of the four of us who were treated suffered serious injuries. But just as the paramedics were giving me the once over and checking my blood pressure, the lights flickered out. We evacuated the premises and Camilla called my children and Claire rushed over with my son, Phillip, and his girlfriend, Sophie, both 24. As a nurse I was used to looking after people, but now I was having them care for me. Claire insisted on driving me down to hospital after I complained of feeling faint and I needed to have my scalp stitched up. I had a fortnight off to recover, but am now back to my normal self. CCTV footage is currently being scrutinised in a bid to discover what caused the roof to cave in. Whatever it was, I think I had a lucky escape. It could have been much worse. Following a healthy and safety inspection the popular gym has reopened, but there is no way that I will be going back there any time soon. I’ve looked into a new venue. It has a swimming pool with a skylight roof, so you can see out of it. Although I’m still not sure I’ll be getting back into the water any time soon. Now I’ve got a good excuse not to go to the gym. If you’ve had a freak accident, injury, or if something unbelievable or crazy has happened to you, we’d like to hear from you. Bad luck can be turned into good luck when you make money from sharing your story with the press. National magazine and newspaper editors are always interested in unique, eye catching, and eye watering stories, so why not capitalise on yours? You can read more about how to sell a story on our Sell My Story page. Or if you’d like to contact us for any other reason, visit our Contact Us page. LITTLE LOUIS, 2, ALMOST DIED IN A FREAK ACCIDENT DURING A GAME OF HIDE AND SEEK. 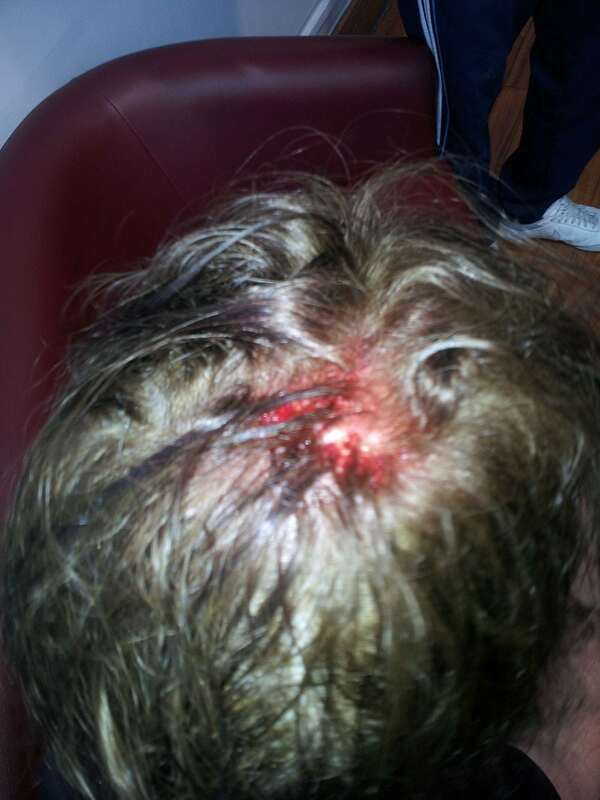 HE TRIED TO CLIMB INSIDE A WARDROBE TO SCARE HIS NAN LESLEY, 54, WHEN IT FELL ONTO HIS HEAD – FRACTURING HIS SKULL. 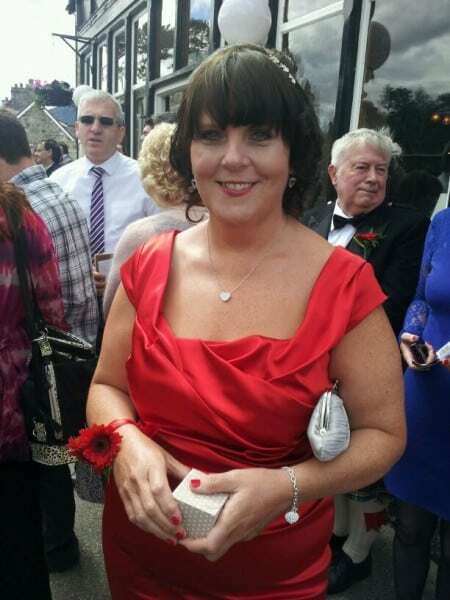 LESLIE FOUND HER UNCONSCIOUS GRANDSON JUST IN TIME AND GAVE HIM THE KISS OF LIFE BEFORE HE WAS AIRLIFTED TO HOSPITAL AND PUT IN AN INDUCED COMA FOR FOUR DAYS. TOLD BY PARENTS PETER, 27, AND KAYLIE. “Louis. Louis. Where are you?” I cried moving between bedrooms, turning each one upside down trying to find him. My mischievous two-year-old was always getting lost on purpose and Hide and Seek was his favourite game. Every morning, without fail, he would make me late as I searched the house from top to bottom trying to find him because he’d snuck off the minute my back was turned. More often than not my cheeky chappy could be found giggling from behind his bedroom door or from under his bed. Although he’s not quite got the hang of the game. If Louis thinks he’s been missing a bit too long we’ll hear a little voice cry out, “Mum, Dad, I’m over here,” and out he’ll pop. Louis never likes to leave us for too long which is why when my husband Peter, 27, offered to take me out for a meal for my birthday without him, I felt incredibly guilty. “You two go out and have a good time,” my Mum Lesley reassured me as I kissed goodbye to Louis before Peter and I set off for the restaurant. The next morning we were getting ready to pick him up when suddenly my phone lit up. “Why wouldn’t they say if he was alright?” I sobbed to Peter as we grabbed our coats and made a dash for the house. Driving up the road we spotted two ambulances parked by the house my Mum Lesley had visited with Louis. As soon as we stopped I flung open the car door and dashed over to an ambulance to find Louis lying inside with an oxygen mask strapped to his face. “What has happened to you darling?” I asked softly but Louis couldn’t answer because he’d been put into a coma. Luckily my mum was on hand to explain. He must have opened the doors and tried to climb into the wardrobe but things didn’t go to plan and the heavy furniture ended up falling up top of him. After hearing the loud crash my mum burst into the room to find Louis trapped underneath it as it crushed his body. She struggled to pull it off and when she eventually did she discovered Louis was unconscious. He was completely floppy and had stopped breathing. Instead of panicking, instincts took over and my Mum gave Louis mouth to mouth – although she’s never had any training she did her best to imitate what she’d seen on TV. 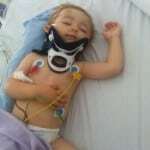 She tired desperately to get him breathing until an ambulance arrived and once they did Louis was sedated at the scene. When Peter and I spoke to the paramedics they told us they’d have to take him to a bigger hospital than our local one – which put me at ease slightly because I knew Louis would be receiving the best care, but at the same time gave me a terrible feeling in my stomach because I knew that it meant Louis’s condition was serious. 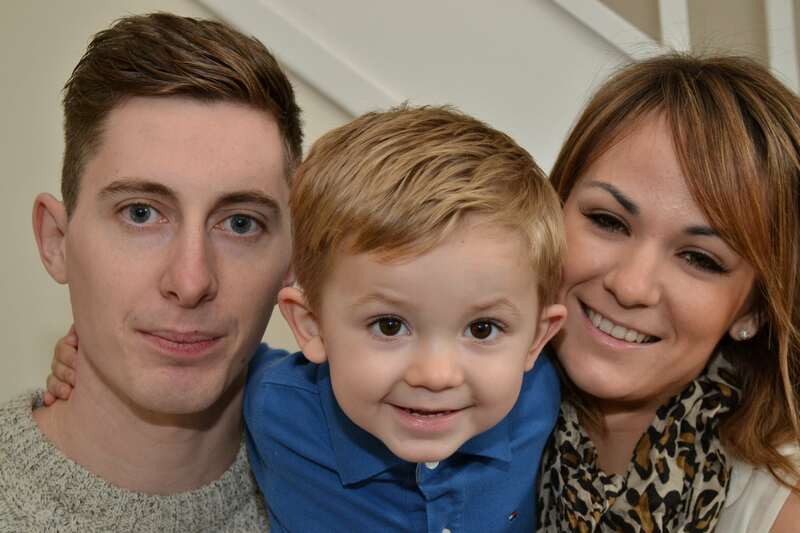 He had a small bleed on his brain – but luckily he didn’t have to go in for surgery. 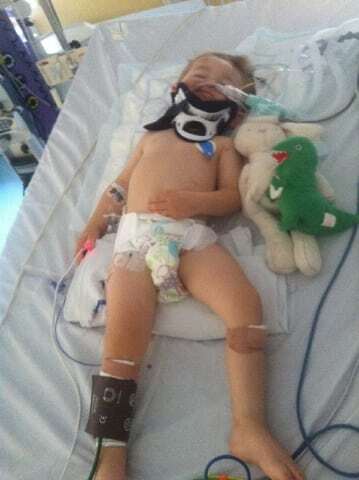 He was in intensive care for three days he had tubes in his noses and wires all over him. He was so afraid we had to tell him they were Fireman Sam’s hoses. Louis spent eight days in hospital altogether and he lost all feeling down the right side of his body. But he was still a typical boisterous two-year-old boy so naturally he wanted to be up running and jumping – his brain was saying one thing and his body was doing another. Luckily he made a great recovery and now it’s like nothing ever happened. He doesn’t really doesn’t remember any of it, which is a good thing but I wish he did have some recollection so he’d be a bit more careful in the future. I’m going to have to buy a crash helmet for the next time he suggests we play Hide and Seek! Do you have a story to tell us about? If you would like to share a story just fill out the form on the right hand side of this page. We’ll get back to you straight away to tell you if your story could make a good magazine article, and how much it’s worth. You only need to tell us the basics (just the main points of the story) and we’ll call you back to find out more. You aren’t obliged to have any part of your story printed until you’re completely happy with the offer and you give us the go-ahead.